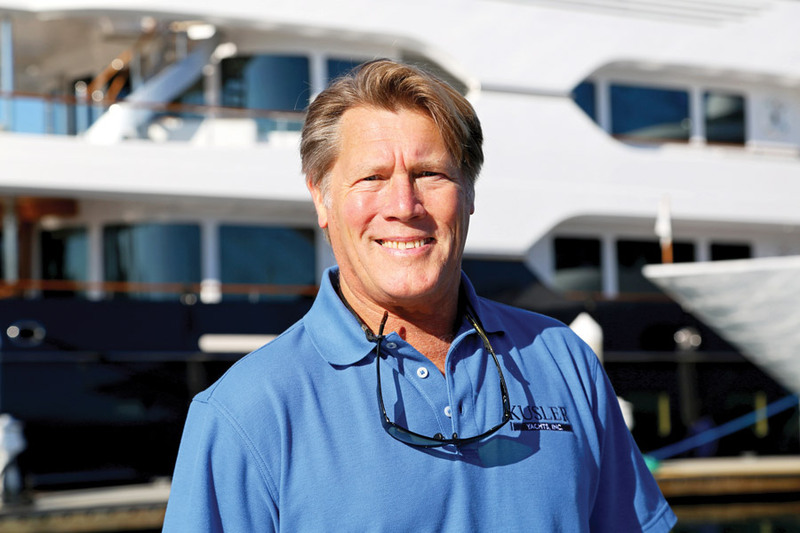 Senior Yacht Broker Scott Veach, formerly of Stan Miller Yachts, joins the Kusler Yachts’ team corporate office at Kona Kai Resort & Marina in San Diego. Veach brings years of experience to the West Coast and Mexico brokerage and fishing community. “We couldn’t be more excited to add a senior broker like Scott Veach to our team,” Michael Kusler said. Veach spent his early years in Venezuela, where he got his introduction to boating and fishing from the deck of a 26-foot single screw wood express. The experience gave him a lifelong passion for boating and fishing. Veach has been an active and successful member of the Southern California marine industry for 25 years. He is a licensed USCG Master and has been directly involved in the maintenance and operation of vessels ranging from 35 to 160 feet. As a licensed broker fluent in Spanish, Veach has cultivated a loyal client base that continues to grow in the United States, Mexico and beyond. Veach is the newest member of the Kusler Yachts team. Kusler Yachts is located at Kona Kai Resort and Marina on Shelter Island, San Diego, CA. Veach can be reached via email at scott@kusleryachts.com or directly at (619) 871-1302.